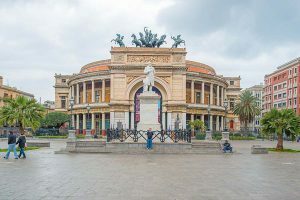 Palermo is the most noble Sicilian city. His rich history is featured by the different and conflicting civilisations that have determined the different aspects of the town: the rich arab city made of gorgeous buildings and luxuriant tropical gardens, the cultured and refined city of Frederick II, the baroque city or the liberty and elegant one. 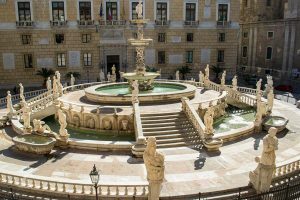 In the historical and artistic city centre you can find the most important evidences of these cultures: the Cathedral, the Royal Palace and the Cappella Palatina, “S. 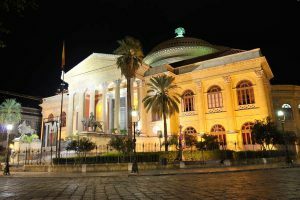 Giovanni degli Eremiti” and the “Martorana “church, the “Politeama” and “Massimo” Theatres. 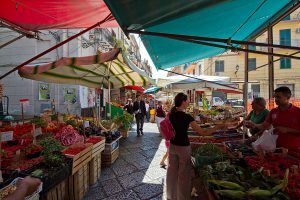 The history – related gastronomic traditions are characterised by a rich, fragrant and original taste. 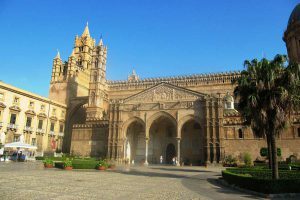 Nearby Palermo you can find part of the great heritage of the Island. 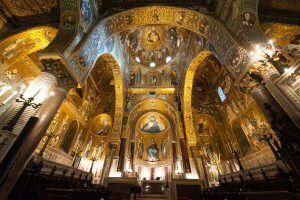 From the beautiful Monreale with the precious Cathedral Mosaic and the seventeenth century Cloister to the Solanto Castle and the little town of Santa Flavia (15 km. 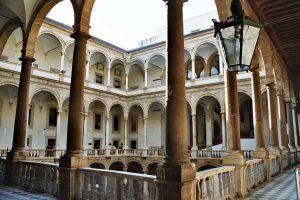 far from Palermo); from the Solunto archaeological park, one of the main Punic city of Sicily, to the beautiful eighteenth – century villas of Bagheria . 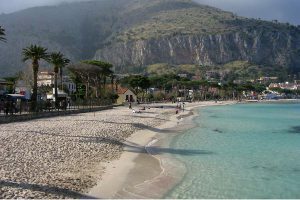 Furthermore the marvellous “Capo Zafferano” gulf and the “Scoglio della Formica”, the ideal place for underwater fishing lovers.